Hong Kong is probably the best location in the world to setup an offshore company. It is a mature jurisdiction, with a healthy legal system and lenient tax legislation. Opening a company in Hong Kong is straightforward. Whether you intended to open a local branch office or use your newly formed Hong Kong company as an offshore trading entity, company formation in Hong Kong is simple. For people who do not wish to visit Hong Kong to set up their own company, they can use the Hong Kong company registration service provided by Fung, Yu & Co. The same firm can help with opening a Hong Kong corporate bank account. Within this short guide, you will find detailed information on the benefits of incorporating a business in Hong Kong, and the reasons why using a Hong Kong company registration makes good sense. It also covers setting up a corporate bank account in Hong Kong, the documents you will need to register a Hong Kong company, and why you may need to procure a local virtual office. Most business who decide to incorporate in Hong Kong set up as an offshore company in Hong Kong. The reason for this is very simple. The tax system in Hong Kong only charges tax on revenue earned locally. This means that any revenue earned overseas is not taxed at all. But of course, there are other reasons to set up a company in Hong Kong. For example, if your business is intending to service the Asian market, Hong Kong is the largest Asian trading hub. The local workforce is also highly skilled, and well educated in the ways of western business, making finding local employees much easier than other parts of South East Asia. Why Use a Hong Kong Company Registration Service? Even though it is pretty easy to setup a company in Hong Kong, it still requires somebody local to process it. This means that if you handle your own company setup, you will need to visit Hong Kong. However, if you use our company registration service for your Hong Kong project, we can handle all the aspects of the incorporation that need to be handled locally for you, meaning you will not have to actually visit Hong Kong to set up your new company. A Hong Kong company registration service can also offer several value-added services, such as setting up your company bank account, providing a local business address, and also providing a local person to be the named company secretary. We do not provide a full virtual office service, but those are readily available nearby. Why Setup a Hong Kong Corporate Bank Account? Unlike many other offshore havens such as BVI, the Seychelles, and Belize, Hong Kong has a well-established and stable economy. This makes it a very safe place to use as the location for your company bank account. The HSBC corporate account that most companies incorporated in Honk Kong tend to choose, is noted as being one of the best company bank account services in the world. Furthermore, it is also possible to set up personal bank accounts with HSBC in Hong Kong, so it makes paying yourself from your company very inexpensive. Another recommendation would be the DBS corporate account which is comparatively easy to open. 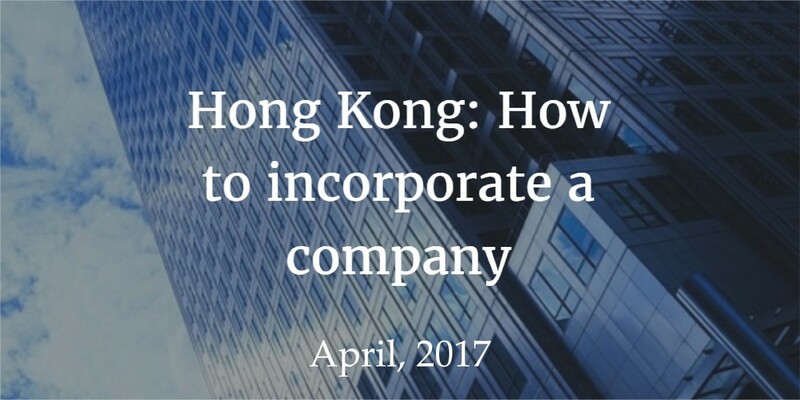 Hong Kong Company Incorporation – What Documents are Needed? The actual company incorporation form. Details about the company’s registered trading address, for which you may use the Fung, Yu & Co. office address when registering as part of our service. As the local firm representing you and helping you to set up a Hong Kong company, we can assist with the production of these documents for you. Should you Open a Hong Kong Virtual Office? Although you only need a local registered office to incorporate a company in Hong Kong, there is a good argument for actually having a local virtual office. A Hong Kong virtual office allows you to receive letters and parcels (which can then be forwarded to a different address, even an international one). Your Hong Kong virtual office will also be able to take telephone messages for you and receive faxes, which again can be forwarded on. In effect, you gain all the benefits of having a physical office located in Hong Kong, but at a vastly reduced cost. This is a great way to infer greater credibility upon your newly formed company. Conduct a company name search in both English and Chinese. Gather the memorandum and articles of association, details of the business registered office and the completed incorporation form. Have these documents signed by the directors and shareholders of the company. Submit the above documents to the Company Registry and pay the incorporation fee for your business registration. Once the application for incorporation has been completed, a Certificate of Incorporation will be issued for the new Hong Kong company. Setup the new company’s statutory books and have them certified. Use these certified documents to open an HK corporate bank account with HSBC or DBS. These are the basic steps that are required for Hong Kong company formation, and then opening a Hong Kong corporate bank account. If you use our Hong Kong company registrations service, then this entire end-to-end process will be handled on your behalf, without any need for you to actually visit Hong Kong yourself, quickly and efficiently, and in a cost effective manner.